Tá fáilte romhat. Haere mai. Welcome. I have set up this site so that I can share my historical work more easily. Please feel free to download the files provided here and use them to inform your own research. All that I ask is that you acknowledge your source if you do use something I have written. I’ve cheekily called it The Brosnan because I was appointed Ceann Fine or clan chieftain by the world gathering of Brosnans (and Brosnahans) in Castleisland in June 2013. This doesn’t really give me any powers or privileges but I am very proud of the honour. I used to work for a couple of English aristocrats and they had the privilege of signing their names with just their surname. Lord Carrington’s personal surname was Carington as I recall so there’s a nice precedent for embracing two forms of your own name. And so, without wanting to offend any other Brosnans, I’m heading this web page The Brosnan. Of course all of us are really O’Brosnacháin (or Ní Brosnacháin for the girls) anyway. Hi Sean, just stumbled across this website and I thinks it’s incredible! My name is Analeise Brosnan and I live in Australia Melbourne. I just wondered if you would happen to know anything about my family tree as I’m ever so interested to discover more about my Irish roots etc. All I know is that my great grandfather was John Michael Brosnan who moved to Australia, married Kathleen Brosnan (Gralton). My great grandfather was from County Tipperary and As of relations in Ireland at the moment, all I know of is that I have relatives with the name ‘Loobey’ (I probably didn’t spell that correctly) But if you could find anything I would be ever so grateful as I would love to know as much as I can! All the best for your search and I hope this will be of some assistance. I was of course born in Castleisland, and immigrated to The United States in 1957, and still live in California, but am blessed to make an annual visit. As you know we all have nick names and I am from “The Wig” Brosnans. That was a great Reunion, and for me a very sad one also, as my only son passed away while I was home. He also truly loved Ireland, and golfed there since he was a young lad. Were you able to make family connections while in Ireland. I made connections from my Moms side of the family, one of them was involved in the planning of The Brosnan Gathering. Hi Hannah – are you in touch with the Wig Brosnans in Australia. We gathered in Warwick Queensland last year for the Centenary of the Warwick Egg Incident – see story in the newsletter. We had a reunion – there is a Calling Brosnans and Friends FB page which you can message me on if interested. I am a descendant of Michael B – son of Tim and Mary Slattery . I’ve really enjoyed your blog, and learned quite a bit about the Irish in New Zealand. We share a relative – your great-grandfather James O’Neill was brothers with my gg-gf Dennis O’Neill. They came to New Zealand with two other brothers – William and Patrick. Dennis returned to Ardcanaught home some time later, where he remained for the rest of his life. I’ve always been curious as to why Dennis returned. If you know any more about these brothers – I would love to learn. Good afternoon, my name is Diane M. Fay, my mother was Rose Ann Daly Fay who was born in the Charlestown section of Boston, Massachusetts. Her father was John Timothy Daly born in Ballymacpierce, Castleisland, Kerry. My great great grandfather was John Daly also born at Ballymacpierce before 1820. He married my great great grandmother who I have found various records with the name Mary Bresnahan and Maria Brosnan. My grand father had a younger brother whose name was William Daly. William owned a pub that we under stand was in Currow. We have been told that his photo hangs in the pub to this day. I am wondering if you ever visited Currow and possibly the pub. Yes I have. In fact we spent quite some time there during our 2014 trip while they made a TV programme about my cousin Tom’s first visit to Ireland. It’s still in Daly hands (I presume it’s the same place). I’ve got some photos taken just outside it and if you send me an email address I’ll send them to you. Sorry, I have recently moved and have not had much time to follow these sites…..I would love to have any photos and information that you might have of about the that is owned by the Daly’s in Currow. My email address is dianefayoncape@comcast.net. My sister and I hope to visit the area in May 2018. We have found a house that does weekly rentals and if possible, we will rent the house so that we can learn as much as we can about the area where my grandfather’s brother lived. Thank you for any help you can give me. Wm Daly was married to a Sweeney woman from Ranaleen in Currow. They had no children and the pub passed onto the Sweeney family through a nephew of Mrs Daly. They still own it today. Hello sean my mother name was brosnan, born ashford county limerick, her father was born athea county limerick, thats about all I know, I would like to find out more? Hi Sean Great web site. 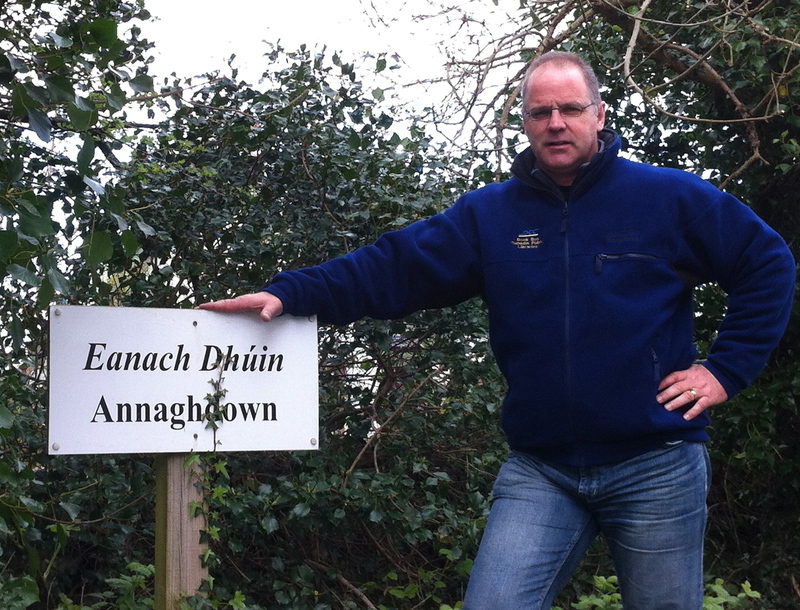 My family of Brosnahans are from Athea co Limerick right on the border of Kerry. My father was Michael Brosnahan and my grand father was Michael Brosnahan known locally as big Mick Brosnahan. I would be really grateful for any information on them anyone may have. Hello stephen I live in ireland 10 miles from athea, my grand father (brosnan) came from athea. I am starting my family tree. Grandparents Daniel Brosnan and Laurel Mary McDonald Nz. Thomas Brosnan was his father pretty sure county kerry. Thomas had a brother called Barney. Am waiting for family for his details.more details coming. Very exciting stuff.. can’t wait to learn more about my four bears. Do you know anything of the story of Mary Sullivan who married Hughie Tim Brosnahan? She is buried in Temuka with her mother Catherine Sullivan, not far from her brother Eugene. The only info I really have is from the photo in your book with Hughie Tim and her children. I am curious to know why she is not buried with her husband. I imagine the Sullivans an Brosnahans were close, coming from a similar area in Ireland and moving to New Zealand at a similar time and settling in the Kerrytown area. Sorry to be so long in replying Phillip. I was waiting for a chance to dredge through my old research material. Meantime, another Sullivan descendant has gotten in touch with me and they have lots of the family history all put together. Just checking with them for permission to forward it to you, then you can hopefully link up and share your Sullivan interests. Welcome Helen and I hope the material on this site will be useful to you. Greetings to Queen when you do see her. Here is a link to Youtube for a song about the Brosnan family in Kerrytown, South Island, New Zealand. Love that you set this up. Any thoughts as to when the next Clan Gathering is going to be? Thanks Daniel. I’ll be putting up more info and more photos from time to time, trying to build and share knowledge about our Brosnan/Brosnahan forbears. As for a Clan Gathering, I see that last year’s planned East Kerry Roots Festival was cancelled so I guess these events are pretty hard to stage. In 2012 there was an Irish government programme, The Gathering, to entice diasporic Irish home for events like the clan gatherings. Our Brosnan one was chosen to be one of the Kerry families highlighted as a Gathering event. If it succeeded in its aims, there might be a repeat of the government programme in years to come, though whether that would include a Brosnan Clan Gathering is harder to say. I think it would be down to the ‘home people’ who did such a marvellous job of the last one. When we came back to New Zealand in 2012 there was quite a bit of enthusiasm among the New Zealand contingent for a New Zealand gathering event, for all the Brosnan/Brosnahan branches out here. I felt a bit of responsibility to organise such an event but soon realised it was more than I could manage at this stage of my life. The website was my alternative way of being of service to the clan and I hope it is fulfilling that purpose. Meanwhile, the field is wide open for anyone who wants to organise gatherings here or elsewhere. I am from Wgtn NZ I am related to the Brosnan’s of Leamydoody and have been researching the family for a number of years. I don’t know of anyone researching Brosnans from Leamydoody but hopefully if there are, they will see your comment on this website and get in touch with you directly. You might also address the question to the Brosnan Clan Gathering Facebook page. It has a lot more ‘followers’ than I do. Have just picked up on your posting regarding the Brosnans of Leamydoody. I have completed some detailed researches on the family and am more than willing to share this info with you. Possess the info in Microsoft Excel format. You can contact me on email address: rjohnmatthews@btinternet.com. I am researching my great grandfather, John Brosnan, who I think was from Leamydoody. He was born in Ireland. He married my great-grandmother, Margaret O’Neill, on August 9, 1881 in Oontanagon, Michigan, US and was 21 so we presume he was born in 1860. Margaret and her infant died in 1883. John took them to Montana, leaving my grandmother with her O’Neill grandparents. John told the family he was returning to Ireland and they never heard from him again. I am trying to teach his history. If you have any information, I would be very interested. Hello Christine, and thanks for your comment. I’ve just replied to a similar enquiry from Analeise where I provided some suggested links to Irish websites (see below) and also the hope that other people reading this might have information that is relevant. That has happened a few times in the past and is one of the best bits about this website. All the best for your research. I’m sorry to have been so long to acknowledge your query. Put it down to the long holiday break and being away from my research material. I have been looking through notes and letters from other people in response to my book, some of which date back to the early 1990s. I thought I had some material on some Ashburton Brosnans, and the name Deen sounded familiar. Alas there is no such reference in my old files. I do remember, however, being contacted by an Ashburton genealogist called Judy Smitheran who had Brosnan connections as I recall. I don’t know if she is still there but she might well be able to cast some light on an Ashburton family for you from her local knowledge. Part of the reason for launching this website is so that people can read it and offer further information. That has already happened in a number of cases so perhaps someone connected with your family will see your comment here and get in touch. I hope so anyway. Sean, I am sure we have had contact many years ago. My GG Grandmother was Deborah Brosnan married Patrick Bowler. They had two boys called John 1) 30th may 1849 2) 26 may 1850. A son Patrick ( my G Grandfather) 11 July 1852. Michael 15th November 1854 and Margaret 11 November 1857. There is a photo I have of Deborah Bowler nee Brosnan taken in Hobart where her daughter Margaret was a nun. I have also found a marriage record for a Margaret Bowler to a John Brosnahan in 1871 which makes Margaret 14 years old. All records i have are from the Parish records in Firies. Did Deborah and Patrick ( he was dead by 1859) ever come to New Zealand? Margaret joined the convent from New Zealand where her parents were farmers. So she said when she joined the convent. BUT Deborah is in Ireland in the 1901 census living with her daughter Mary Hussey and Marys son Patrick. If Margaret married then why would she enter the convent in her maiden name?? Why is she buried facing AWAY from the church in Tasmania?? Did she confess something we don’t know about? So many questions. Any help greatly appreciated. I think it unlikely that Patrick and Deborah Bowler came to New Zealand from Kerry pre-1859. It’s possible, of course, but unlikely given the small number of Irish immigrants coming to the country in that period. If Deborah came after Patrick’s death, she presumably brought the children with her and might show up in immigration records. These survive to a greater or lesser extent depending on where in New Zealand they might have arrived. Immigration was not organised centrally in that period but was a provincial responsibility. Are there any indications in your material of any specific locations in New Zealand? Libby (above) mentions that Margaret’s two brothers both came to Wanganui and that is in the North Island. I’m not very familiar with that region’s immigration history I’m afraid. It was a war-torn area for key periods in the nineteenth century. It could have been linked to both New Plymouth and Wellington as immigrant destinations. Perhaps someone reading will know more. Their brother Patrick also came to NZ but I can find no record of him arriving. John and Patrick both settled in Taranaki. Margaret ( sister Vincent) went to Tasmania and I have a picture of her mother Deborah taken in Hobart, which must mean she went there. Margaret entered the convent from NZ and said her parents were farmers in New Zealand. Deborah is back in Ireland without Her husband Patrick or possibly John in 1901. As you can see both John and his sister arrived in Canterbury and I feel there must have been a connection to the Kerrytown Brosnans. I have also found a POSSIBLE marriage for Margaret to John Brosnan?? Margaret died 9th dec 1919 in Tasmania and is the only nun buried with her feet facing the church? Could this possibly be because she confessed on her deathbed to having a living husband? But that is not my question here, I have looked everywhere I can think of to find a record of her parents leaving Ireland to come to NZ or even Tasmania. But nothing at all. 2. i. DEBORAH2 BROSNAN, b. Abt. 1826, Gearha Co Kerry Ireland. I know the Brosnans ( and most Irish) repeated Christian names which makes searching for the right people a nightmare, but do you think there may be a connection to the Kerrytown Brosnans? Dear Liz, sorry I never replied to this final question last year. I suppose that’s because I really don’t know the answer. It seems likely that since all the Brosnans and Brosnahans came from pretty much the same place in Ireland,news about New Zealand as an emigrant destination would have spread among them from letters sent home by those who had come out here. In that sense, there would be a connection between all of them. Closer familial relationships are much harder to pin down. But hey, we’re all Brosnans/Brosnahans, so why not let’s assume so? I have just come across this wonderful Brosnan site and seen your message. My Brosnan ancestors came from Firies to Adelaide, South Australia before my great grandmother Kate Brosnan her husband Patrick Burke and family came to New Zealand. My ancestors have similar first names to the ones you list so they are obviously all connected. I’m not sure I can answer your questions but am happy to exchange notes. just browsing through your website again Sean, it is getting more impressive by the day. Hope you and Ray and family are doing well and recovering somewhat from the passing away of Ray’s wife. Thanks Tom, appreciate the feedback. I’ve meaning to add some more but struggling to find the time. Dad was doing well but then he broke his hip. He’s gradually regaining hi mobility but that’s quite a setback. Great to see you linking up with someone with Kerry information via this web page. Makes it all seem worthwhile. My daughter honored me and all of the Brosnans by naming my grandson Brosnan Patrick ….. I am the son of John Brosnan of Castleisland (1926) and my name is Patrick Brosnan and my son is Patrick Brosnan and my business in NYC is http://www.brosnanrisk.com….Cheers! We are working on a project that aims to publish a photograph of every member of the New Zealand Expeditionary Force that served overseas during WWI (we currently have over 22,000 portraits of the approx. 97,500, so a long way to go!) We were wondering if you may know of any photographs of the 6 Brosnan men and 19 Brosnahan men that served? Also by chance, you wouldn’t happen to be the Sean Brosnahan that curated the “Wall of Memories” display at Toitu in 2009? Hello Matt, yes that was me and I remember you been very helpful on numerous occasions. I was aware of your project and had been meaning to get in touch about the images I have. You will see the Brosnahan ones I have in the photos section of this site. Feel free to use any of them – or will the files be too small? If so I’d be happy to send them to you by email. It just so happens that my next posting here is going to be about Clan Brosnan members who served in WW1. I’m hoping to solicit more information from any readers that I might have about Brosnans/Brosnahans both her and overseas who served in the war. I have just been on a tour of the WW1 battlefields in Gallipoli and along the Western Front for the Museum making AVs about the Otago troops for our forthcoming exhibition about Dunedin and the war “Dunedin’s Great War”. The post will have a link to the blog I kept through that journey too. We would very much like to use the Brosnahan/Breen pics you have. As they are all full length portraits, it would be great to be able to get larger files by email. We have a standard format where we crop to a head and shoulder composition, so with the full length shot we start losing definition with smaller files. Comhghairdeachas dhuit, a Cheann Fíne. Well done, Seán. I look forward to keeping tabs on you. Go raibh maith agat. Appreciate the comment and the feedback Neil.